A friend sent me a blog on prayer and said, “hey, you should read this!” So I did. A few paragraphs in, I realized it was more about prayerlessness than prayer; antipodal to a post I was currently working on. 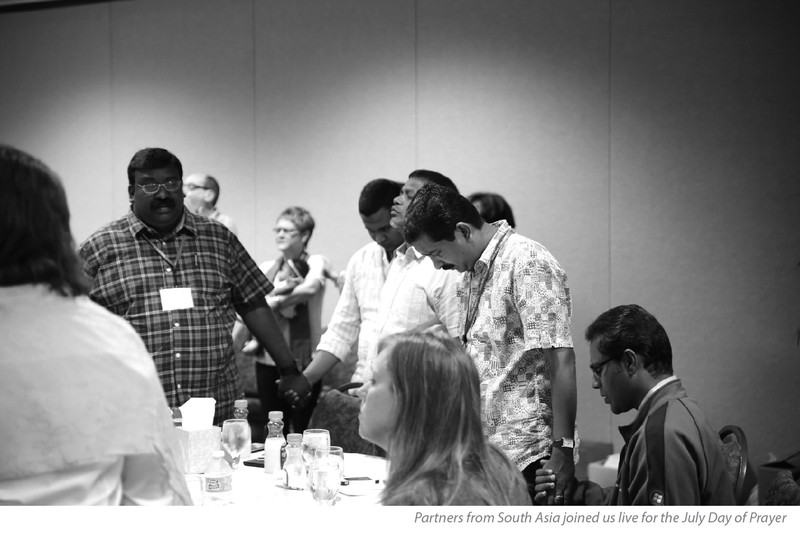 Days of prayer—every year we dedicate one full day and one half day during to corporately pray and fast—even including offsite employees and global leaders around the world via technology. Home office staff spends approximately 136 hours/week calling partners to garner their prayer requests and pray over the phone with them. Weekly prayer requests sent to staff and partners before our weekly, Wednesday chapel. Corporate emails can be sent by anyone on staff to share personal prayer requests or ask for prayer for friends, family, partners, or anything on their hearts knowing we are a praying workplace. Partners undergird the ministry in prayer such as Praise FM, who share partner requests weekly, pray on air, invite listeners to intercede and have hosted “Day of Hope” prayer marathons. Prayer request page on our website details specific regions and requests, then lets you share with others via social media. 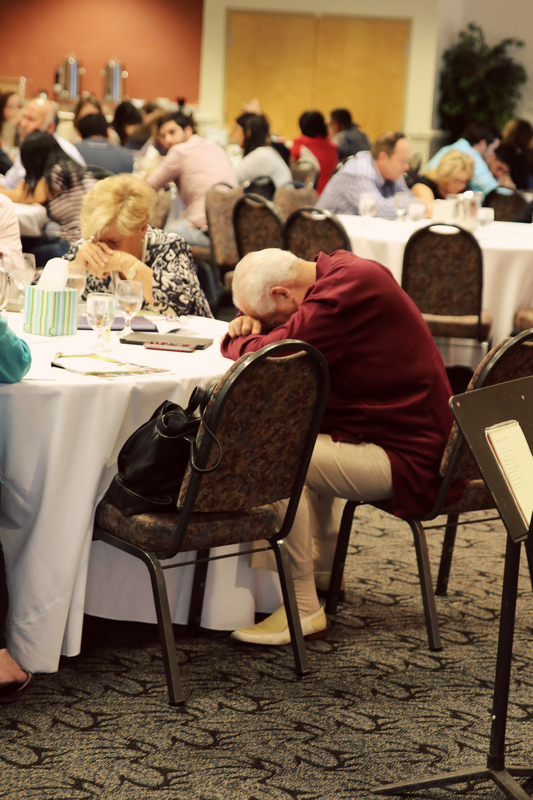 Every Nation Prayer Room in our building hosts day and night prayer. “God, give us pure hearts and clean hands.” First, we pray for God to keep our hearts and motives pure, because if we lose that, we lose everything; we lose God’s Spirit. And at OneHope, if you know nothing else about who we are or what we do, you ought to know that first and foremost we are Spirit Led. “Lord of the Harvest, send forth laborers.” Next we pray for the laborers (Matthew 9:38). This is God’s work and He’s going to do it. We need only pray for the people we need to become part of the OneHope vision of catalyzing a movement to reach every child and youth in the world with His Word. “Direct us by your holy spirit.”In everything that we do, we seek to be Spirit Led…we want to be a part of God’s mission. (link to Missio Dei) Whenwe ask the Father to use us, we are asking Him to help us to reach the children and youth of the world and impart to us the ability to spread His Word. The Holy Spirit will show us where and how to do that, so we have to be in tune. “God, where You give the vision, You will also give the provision.” Although it takes a lot of resources for this ministry to go forth, we don’t pray and ask for money. We trust that when God makes a plan, He will also make the way. “Give us discernment and boldness.” We can do our best research and make a plan, but ultimately we need the gift of discernment. We must wait to see what God’s going to do. And when we see Him open a door, we must be bold enough to go through it. My dad (left), who has been a student, practitioner, and teacher of the power of prayer for 70 years still considers himself an amateur! But he always encourages us to remember that while we will never reach perfection in prayer in this life, the journey itself will be worth it. I pray Ephesians 1 every day, asking God to grant us a Spirit of wisdom and revelation, open our eyes to see our inheritance and that the power that raised Christ Jesus from the dead be in me. I’d encourage you to choose one (or more) of these prayers and begin praying your own version of it over a specific area of your life or ministry for the next year, then write me and let me know what God has done! and renew a steadfast spirit within me.” One of my favorites! Love hearing your practical applications of prayer through technology. Please pray for my wife Micaela and I, my sons Jacob, Christian, and my daughter Hannah. My wife and I are separated. I’ve not seen or spoken to her or my children in 2 months now. Please pass this prayer request on, please post it everywhere you can. I am eternally grateful for all who stand in the gap with me for my family.